Avanti Language Institute is fully accredited by ACELS/NQAI. We are a small, high quality school that offers students a friendly, personal, professional service. Avanti offers a wide range of courses. Our magical 'Experience Ireland' programme is unique! – Combine your English Language course with Horse Riding, Golf, Irish Farmstay or Irish Music! With Experience Ireland you can feel part of the culture, atmosphere and passion of Ireland! Our adult courses also include General English, Exam Preparation, Business English, ESP, English for Au Pairs and our Language and Culture course for students over 50. Our Junior programmes for students aged 12-17 run throughout the year and we also run courses for kids under 12 and courses for families who wish to study together. At Avanti we have an active, exciting and varied social programme for adults and juniors. Our host families are simply the best! They are warm, friendly and welcoming; the houses are clean and comfortable and a lot of our host families live within walking distance of our school. Our students can also choose from our other accommodation options – hotels, bed & breakfast, apartments. Importantly, Naas has excellent transport connections. It is only 30 minutes by car, train or bus from Dublin’s city centre... and Dublin Airport. The buses to and from both stop right outside our front door! Standard General English Programmes designed to suit students who wish to improve their overall English skills, particularly their fluency and accuracy when using English. Students can customise this Intensive English course to suit their individual learner needs by choosing Intensive English Plus or Intensive English Plus 1-to-1. The courses are open to students 16 years and above and are available at all levels1, all year round. 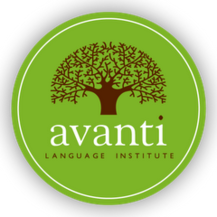 Avanti Language Institute offers quality Exam Preparation courses for the Cambridge CPE, CAE, FCE and PET as well as IELTS. Preparation for the TIE exam is incorporated into our Intensive English courses.